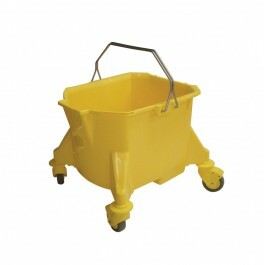 Kentucky mopping allows large areas to be mopped in a fraction of the time it would with a regular mopping system. 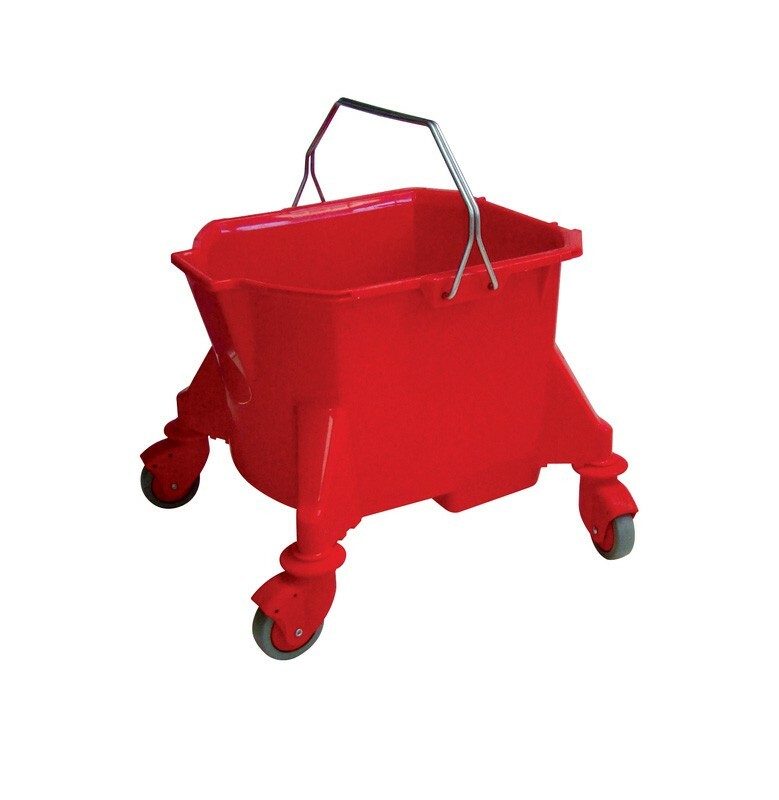 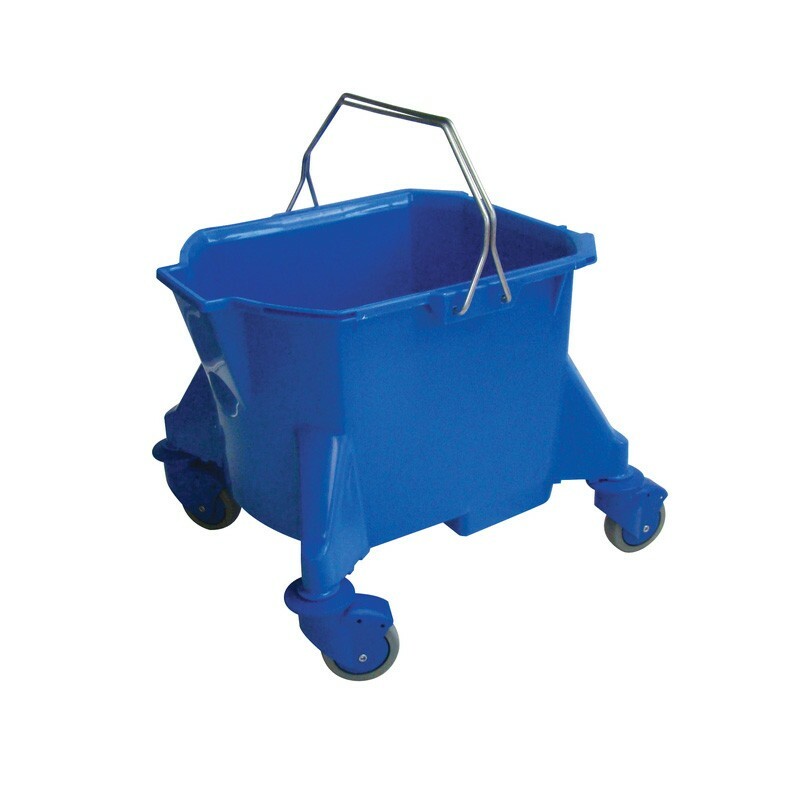 The mobile 23ltr Kentucky Mop Bucket is designed for the rigours of every day commercial cleaning. 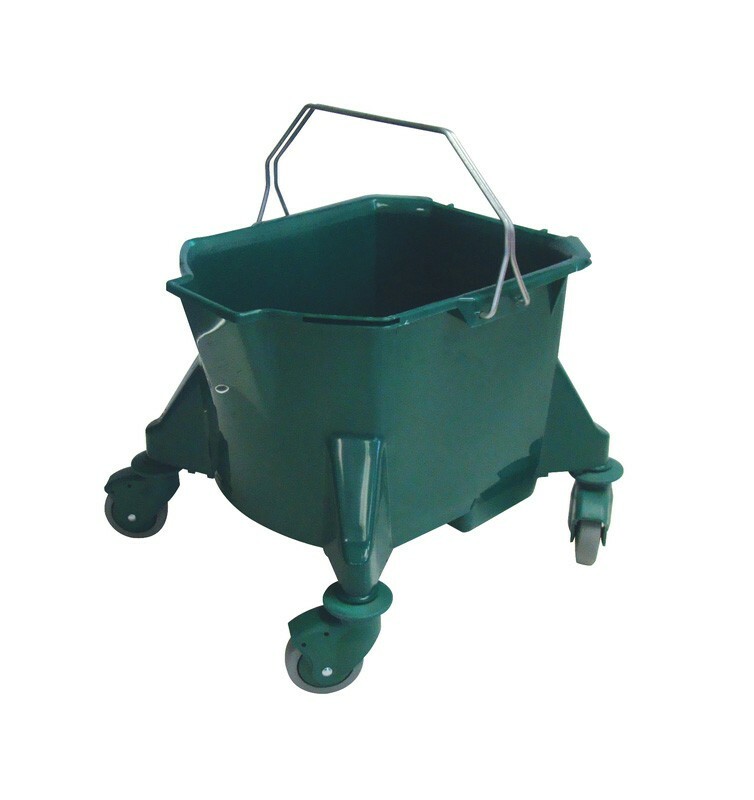 The bucket features a double galvanised steel handle for carrying and four non-marking, rubberised, polypropylene, 75mm (3") swivel castors. The bucket is constucted from one piece rigid polypropylene construction with a dirt-retaining sump, printed with "Wet Floor - Caution" to both sides of the bucket. 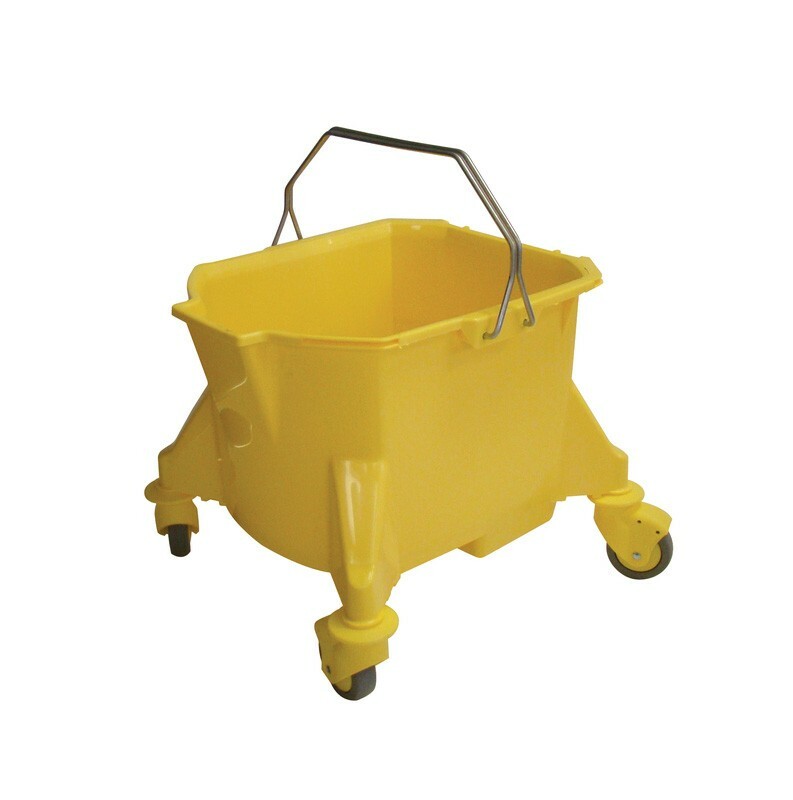 Ideal for use by contract cleaners, caretakers and facility management, in schools, gyms, sports halls, corridors, toilets, washrooms, kitchen areas and shop floors. 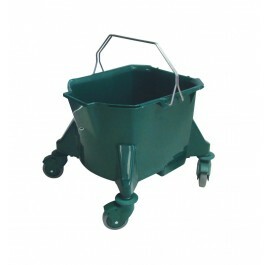 For use with the 350-580g gear operated wringer. 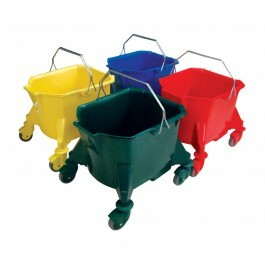 Suitable for use will either 340g (12oz) or 450g (16oz) Kentucky mop heads.